Whether you're working with people wearing full-on suits or at a company where sweatpants are A-OK, here are some options to let you show some personality during your 9-to-5. 1. A little black dress with scalloped detailing and a lace collar for a ladylike twist on your weekly Wednesday Addams look. As in every Wednesday, you live your best Wednesday Addams life. Get it from Amazon for $22.99+ (available in sizes XS–XXL and 10 different dress/collar styles and colors). 2. A sheer-paneled blouse to prove that you're a ~star~ at doing your job. This'll look equally cute out to drinks with your friends AFTER work, too! Get it from Forever 21 for $19.90 (available in size S). 3. A chambray shirtdress for those days you really wish you could wear jeans — this baby is just as effortless! Get it from Abercrombie & Fitch for $27.34 (originally $68 available in sizes XS–XL and three patterns). 4. Stretchy pinstripe pants masquerading as tailored trousers; you can just pull 'em on and head out the door. Outfit complete! Brb, buying a pair to wear every day of the week. They're available in four other prints too, so you really CAN have it all. Get them from Urban Outfitters for $39 (available in sizes XS–XL and five patterns). 5. A relaxed-fit jumpsuit you can layer over a tee or blouse, or under a sweater or blazer. Spring-into-summer dressing just got way easier. Get it from American Eagle for $49.95 (available in sizes XS–L). 6. 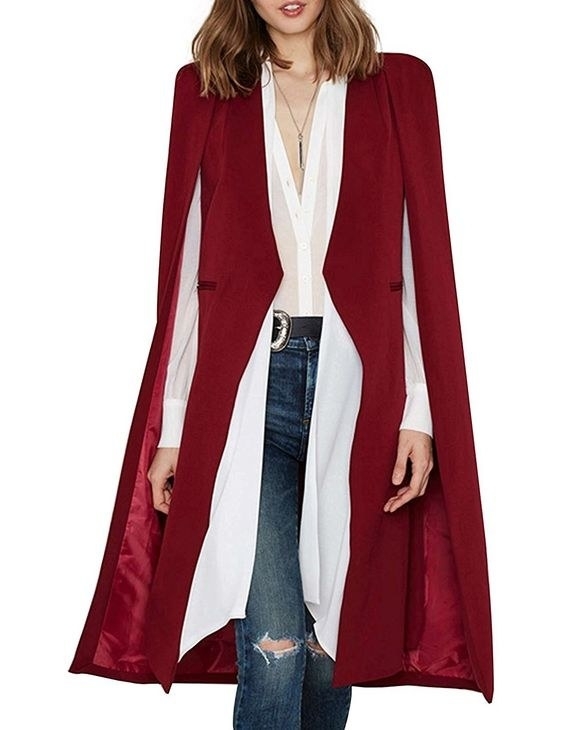 A cape blazer, because you didn't know you needed to dramatically sweep into and out of those meetings that totally could have been an email. But you do. Get it from Amazon for $24.99 (available in sizes S–XXL and six colors). 7. 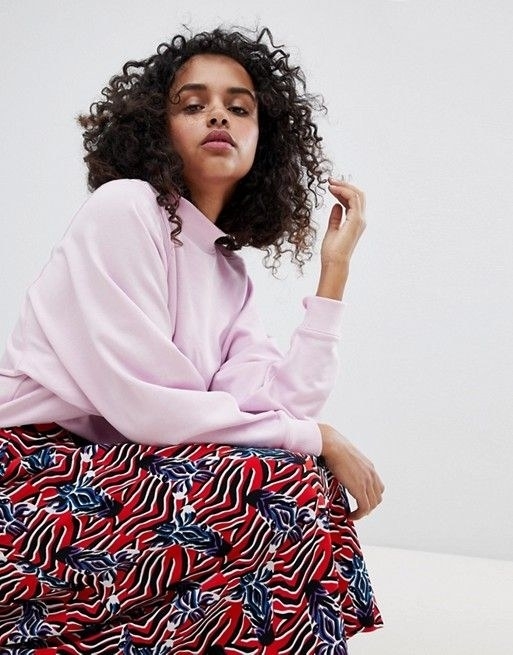 Cropped ruffle-hem stretchy pants, because traditional trousers simply don't ~suit~ you at all. Get them from Amazon for $13.99 (available in sizes XS–XL and five colors). 8. 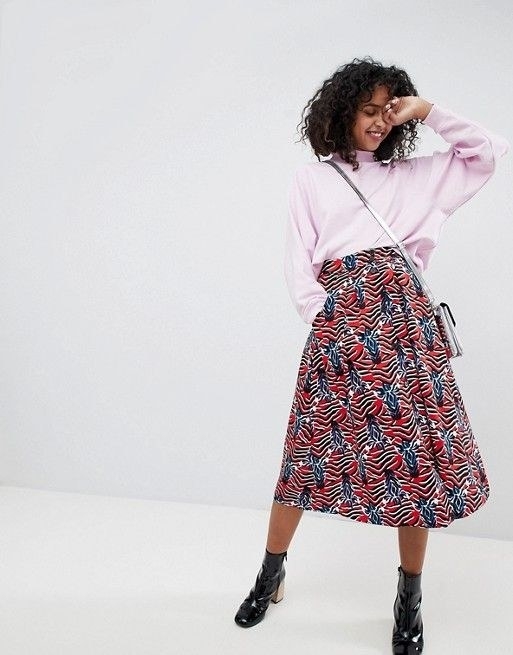 A classic midi skirt that'll look like a cool abstract print from afar — but when you get up close, what's that? Zebra faces! 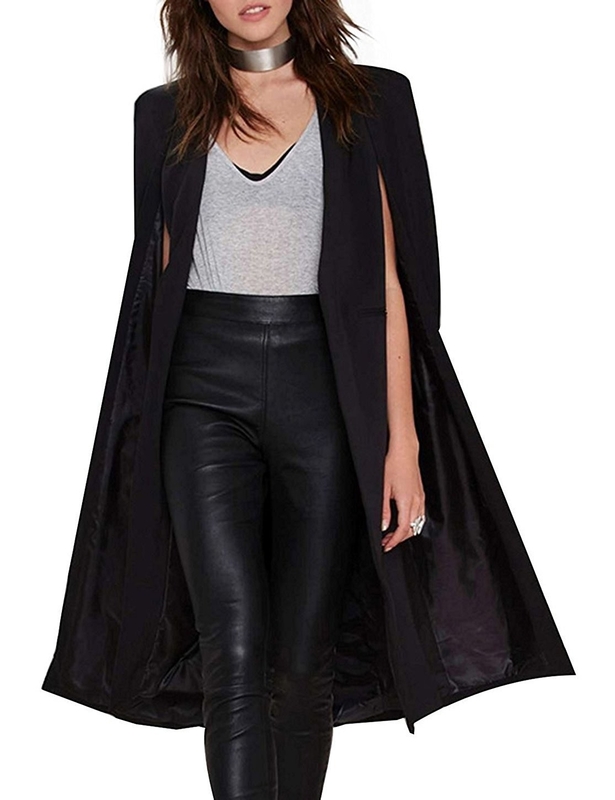 Get it from Asos for $48 (available in sizes S). 9. A flowy wrap dress to make any Friday feel like a summer Friday. Get it from Amazon for $36.99 (available in sizes S–3X and nine colors and patterns). 10. A tie-waist midi jumpsuit you won't have to ~pink~ twice about before throwing on. Get it from Lulu's for $69 (available in sizes XS–L and in purple). Promising review: "I wore this for a branding photo-shoot for my company, and it was absolutely perfect. Great fit, and adds the right amount of "professional" to your look. Also great for date night and as a wedding guest." —Kat W.
11. A minimalist grid-print midi skirt complete with buttons down the front — blouses shouldn't get ALL the fun. 12. A jacquard blazer with a gorgeous but subtle pattern that'll shine slightly in the light for an expensive-looking effect. Get it from River Island for $120 (available in sizes 8 — or in more sizes in other colors). 13. And a flutter-sleeve dress you'll get so much use out of, it's crazy. Wear it to work, out to dinner, to your 85th wedding this year, and mooooore. Talk about a hard worker! Get it from Amazon for $19.99+ (available in sizes XS–XL and 14 colors). ~Work it~ while you work!